Family members who take care of an older adult don’t often see themselves as caregivers, but are ultimately responsible for their loved one’s well-being. Carolyn, JoAnn and MaryAnn talked about how BakerRipley’s caregiving programs supported them. Carolyn was ready to enjoy retirement, and after recovering from a surgery, she started planning her travels. For years, she took care of her family and was looking forward to some time for herself. Suddenly, her husband passed away, followed by her father not long after. Shortly after that, it became apparent her mother could no longer live alone so Carolyn became her full-time caregiver. 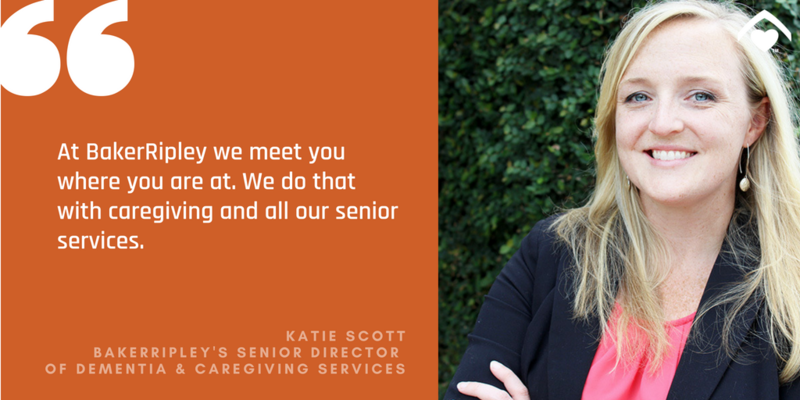 BakerRipley Senior Services offers various programs and resources not only for older adults, but also for caregivers, too. Unpaid caregivers typically take care of an older family member over the age of 50 – like a parent, sibling or spouse. “Most women – all of their lives – have worked hard and taken care of everyone. So we saw retirement as a time that would be for us. Now we are taking care of moms, kids, and babies. I think we grieve that,” JoAnn said, who is also caring for a family member. While attending the Stress-Busting Program for Family Caregivers, Carolyn met JoAnn and MaryAnn. All three are caregivers for a loved one. More than eight in ten caregivers say they could use more information and help on caregiving topics – both on keeping their loved one safe at home and managing their own stress. At BakerRipley family members can attend classes focusing on coping skills and self-care techniques that help reduce stress. Our team offers telephone consultations about care options and referrals to community services so caregivers know what’s available to them. We also host educational seminars, stress management courses and support groups. We recognize that family members are the backbone of the care system when older adults need help to remain living in their own homes and neighborhoods. BakerRipley’s caregiver support specialist also visits businesses and gives consultations to employees about the resources available to them.